While our blog generally focuses on industry trends, best practices, and interviews, we’re taking a moment this week to share an exciting new free tool: shareable digital catalogs. Ever wanted to send over your spring assortment to your buyers? 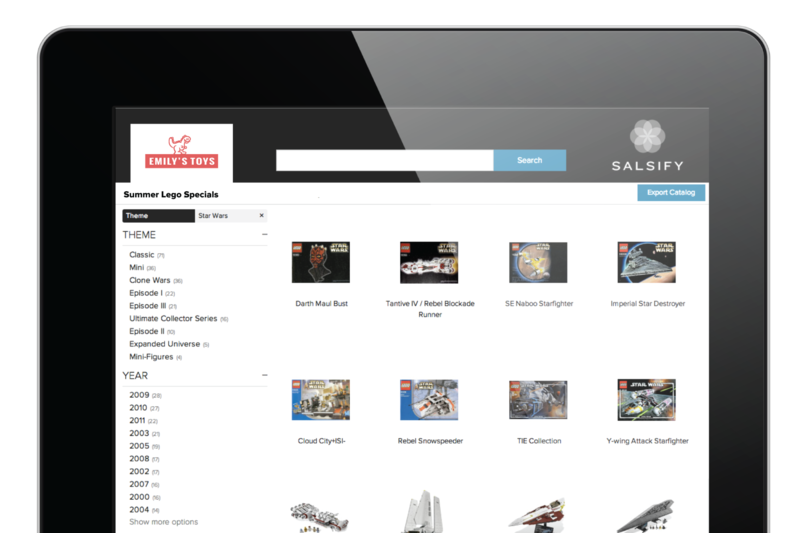 Or have a mobile-friendly catalog with information to train your sales team? Or even replace your out-dated print catalogs at tradeshows with something that looks great on an iPad? Or give your smaller retailers a place to get your latest, up-to-date product information? Many of our customers have had all of those problems, so we've released a free tool that lets you do just that. Send customized digital catalogs to all your buyers. Any given customer could have exclusive product offerings, private label lines, special pricing, or some other customization that makes paper catalogs irrelevant. Digital catalogs enable you to give each customer a tailored experience when presenting your catalog. Better yet, you can send them a link so they have continued access to the most up-to-date product information. Having all your product data at your fingertips is important, especially at an event like a tradeshow where each interaction is critical to building distribution. Digital catalogs support these interactions with great data that can easily be sent to your connections before the conversation is over. Larger retail partners require a lot of effort to support when it comes to delivering product information. Each partner has finicky requirements on the character limit of the marketing description, image dimensions and formats, etc. The effort to support these retailers is often at the expense of the long-tail of distributors. But these distributors still crave content, and need a resource to access up-to-date product information. Digital catalogs allow you to share this content. This app is just a small slice of what Salsify can do, and we’re excited to be able to offer it up for anyone to use, especially since we think it’s such a critical aspect of how merchandise suppliers and retailers collaborate with each other.